Three Colombian police were killed and at least seven others were wounded in a bomb attack on the vehicle in which they were riding in the central-eastern province of Casanare. The national government blamed Friday’s attack on ELN guerrillas and said that rebel group was mistaken “if it believes that with the despicable murder of police in Casanare it will force (the government into) talks,” President Juan Manuel Santos said on Twitter. The ELN has been engaged since January 2014 in “exploratory conversations” on starting a peace process similar to the one Bogota has been pursuing with the larger Revolutionary Armed Forces of Colombia, or FARC, for more than three years. The ELN has stepped up its attacks in February to commemorate the 50th anniversary of the death of iconic ELN fighter Camilo Torres, a “guerrilla-priest” who perished in his first battle. Santos said authorities were seeking to track down those responsible for the attack, which occurred near Plan Brisas, a hamlet in the municipality of Aguazul, a region where the ELN’s Jose David Suarez front is believed to operate. Thirty-one police, 28 of whom were young people serving a mandatory one-year period of service, were riding in the truck targeted in the attack. The National Police said in a statement that they were part of a group of law-enforcement personnel who “were helping protect the oil wealth of all Colombians,” especially the Cusiana field, which is located in that area of the country and the Andean nation’s largest. 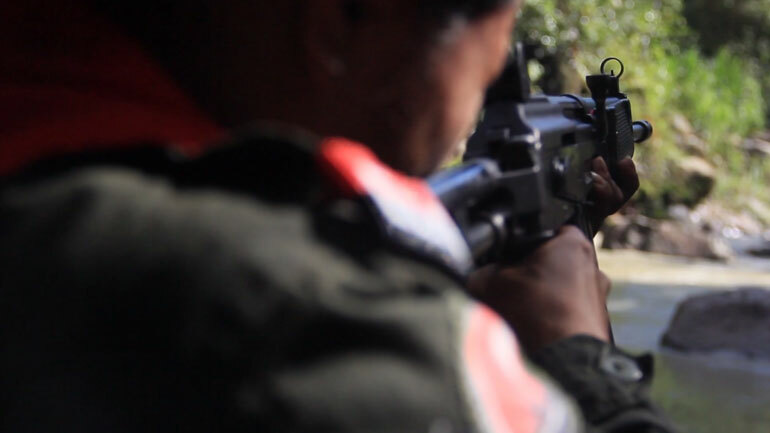 In a separate incident Friday in Bolivar, a municipality in the southwestern province of Cauca, one soldier and one ELN guerrilla were killed in a clash, according to the army’s 3rd Division.